Flexible filler&capper is designed to conform to various installation conditions and performance, being used in various lines. 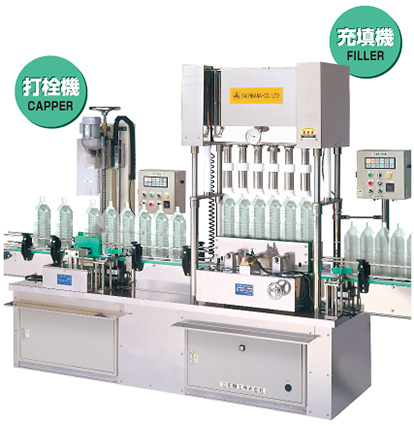 The filler and capper machine were set space-saving and a low price were realized. This machine has adopeted the commonly usable and easily convertible system for bottles with varied different shapes and dimensions, and is compound machine with high durability and safety. Click right, operate the video.